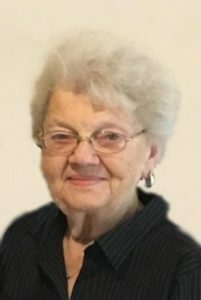 Lois J. Gregory, 85, of Lincoln, died Tuesday, September 11, 2018 at Bryan LGH East in Lincoln. 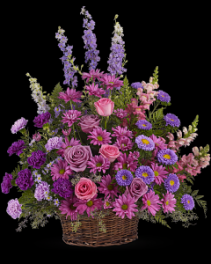 Visitation Friday, 5 to 7 p.m.
Lois Jean ( Hoeft ) Gregory was born October 29th 1932 to Henry and Hilda (Gocken) Hoeft. She grew up on a family farm and attended David City Public Schools, graduating in 1950. She met the love of her life, Ralph Gregory in Rising City where they spent many hours dancing on roller skates at the local roller skating rink. When Ralph had to leave for the Coast Guard, Lois moved to Lincoln with her cousin and worked in a department store. After his return, they were united in marriage on July 26th 1956 at Immanuel Lutheran Church near Rising City. They lived in Lincoln where Lois worked two and sometimes three jobs, to help put Ralph through Dental College. They started their family there and were blessed with their first child, son Kevin in 1958. They then moved to Hebron, Nebraska where their family grew by two, welcoming daughter Kristie in 1961 and Kelly in 1963. They finally settled on an acreage near Rising City, where daughter number three was born, Kim in 1968. Lois was a stay at home mother while their children were young. She was an active member of ladies aid, and other church activities. She was very proud to have been baptized, confirmed, and married at Immanuel Lutheran Church. Lois later worked as a receptionist at Ralph’s dental office for several years until 1981. After Ralph’s death in 1990, she moved to Lincoln where she worked at Bryan Memorial Hospital as a heart monitor technician. She loved music and dancing. The Gregory home was often filled with music and many times you could find Ralph and Lois dancing together in the kitchen. She loved going camping with family and friends, going to dances, cooking, baking and canning. She also loved to crochet, and took pride in making afghans to give away to family members and friends. Lois and Ralph were revered as number one softball fans of the women’s Garrison softball team, where all three daughters played and son coached the team. They followed the team to many tournaments with their camper full of food and ready to feed the whole team. Lois loved to host parties and her children labeled her as the hostess with the mostess. She loved having coffee with friends and spending time with her friend Susan at various coffee spots in Lincoln. Her greatest pride and joy were her children and grandchildren. Her eyes would light up when any of them would walk into the room. She carved out a special place in each of their hearts, and there she will forever stay. Lois was preceded in death by her parents, Henry and Hilda Hoeft, husband Ralph Gregory, brothers Laverne and Dennis Hoeft, sister in law Sharon Hoeft, son in law John Helgoth, mother and father in law Walter and Tressie Gregory, sisters and brothers in law, Evelyn and Salvador Pimienta, Earl and Evelyn Gregory, Joann Dietrich, Clara Hooper, and Ed Gregory. She is survived by Son Kevin ( Lori ) Gregory of Columbus, Daughters Kristie ( Michael ) Lampkin of Lincoln, Kelly ( Jack ) Gutierrez of Columbus, Kim Gonzalez of Lincoln, Jose Gonzalez of Guatemala, 19 grandchildren, 16 great grandchildren, brother in law Ervin Dietrich of Lincoln and family friend Susan Findley of Lincoln. Many nephews, nieces, cousins and an abundance of friends.